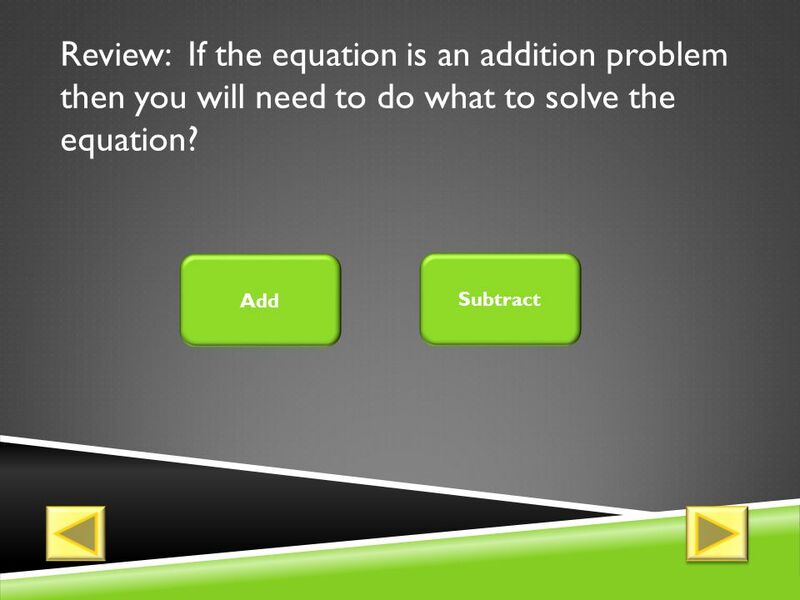 1 SOLVING EQUATIONS WITH ADDITION & SUBTRACTION By: Erica Wagner Let’s get started! Let’s get started! 10 How did I do? Click here to calculate and see your results. How did I do? 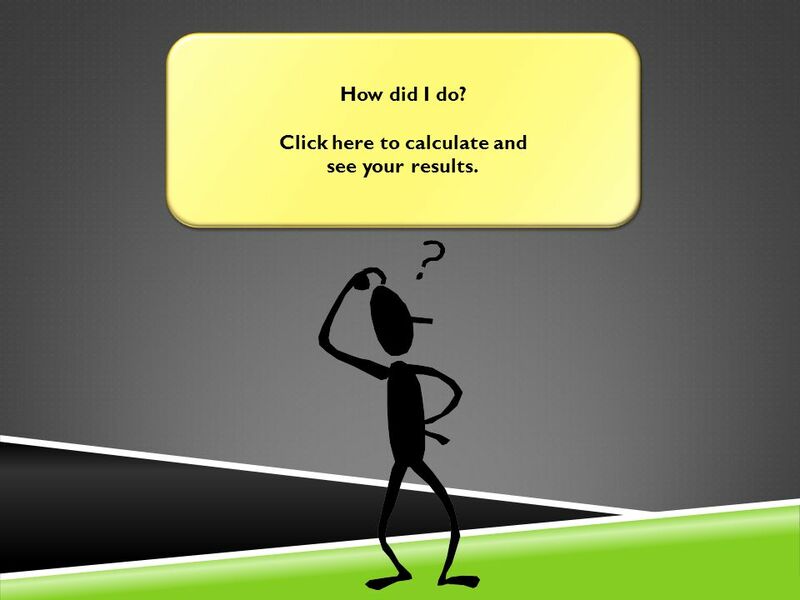 Click here to calculate and see your results. 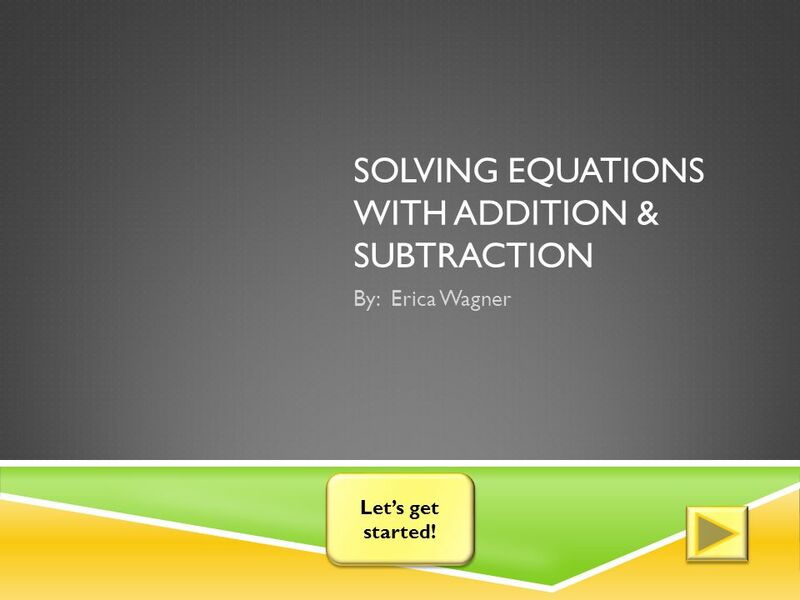 Download ppt "SOLVING EQUATIONS WITH ADDITION & SUBTRACTION By: Erica Wagner Let’s get started! Let’s get started!" 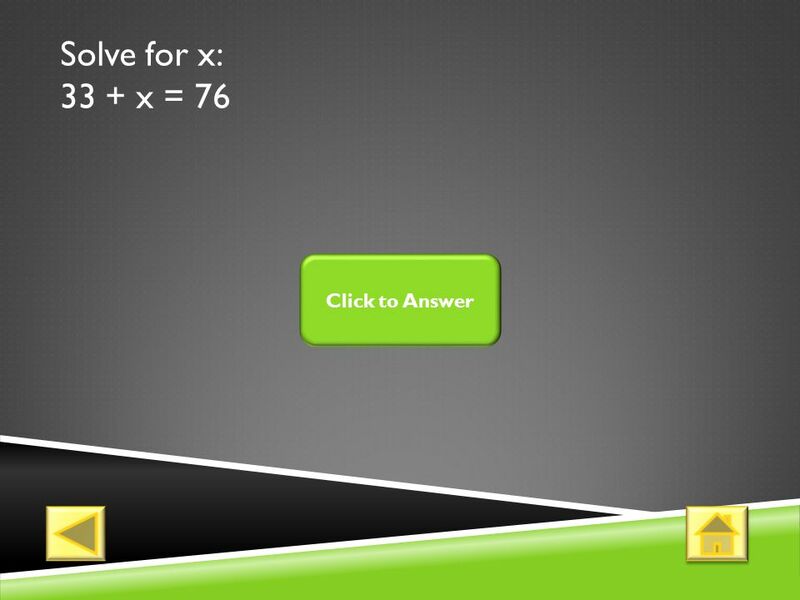 A f r i d i i m r a n 94@yahoo.com S O L V IN G S Y ST E M S O F E Q U A T I O N S A f r i d i i m r a n 94@yahoo.com.